Vladivostok, 4 Sept 2012 - Economic disruption, including possible recession in the U.S., the Eurozone crisis and the slowing of expansion in China have taken a toll on the confidence of CEOs in the Asia-Pacific region. Just 36% of executives surveyed by PwC said they are "very confident" of business growth over the next 12 months. Longer term, however, prospects improve, with more than half (54%) expressing a high level of confidence for the next three to five years.Asia-Pacific CEOs also said they believe the region is on track to achieve greater economic integration, a top priority for the Asia-Pacific Economic Cooperation (APEC), whose summit meeting begins here later this week. Nearly half of CEOs said removing barriers to trade in services is a key to greater integration within the 21 APEC members. CEOs also called on APEC's political leaders to harmonise regulations across the region and to do more to encourage labour mobility and the free flow of investment. CEOs said the top economic risks to their growth were a spike in oil prices to beyond US$150 per barrel, a U.S. recession, breakup of the Eurozone, and the slowing of China's growth to below 7.5% of gross domestic product. Other top concerns cited were a major disruption of the Internet or cyber attack, and a pandemic or natural disaster. Asia-Pacific CEOs said China and the United States were their dominant targets for investment over the next three to five years. Resource-rich areas such as Russia, Indonesia and Australia, and Asian services capitals like Hong Kong and Japan were also cited as top draws for investment. Meeting the need for talented, highly skilled workers remains a top priority for CEOs in Asia-Pacific; 40% said they plan to expand their workforce by at least 5% in the next three to five years. But, 42% think talent shortages in the region will worsen over the same time period. To meet the intense competition for talent CEOs said they will offer employees salaries that are more competitive, better apprenticeship and intern programs, more non-financial rewards and customised benefits, and international assignments. "Making progress on the many issues that face the diverse economies of the Asia-Pacific region is no easy task. CEOs have set some very clear challenges for the upcoming APEC summit. If the summit is to be deemed a success we need to see some real progress on key issues such as harmonising regulation and encouraging labour mobility in the APEC region," said Dennis Nally, chairman of PricewaterhouseCoopers International Ltd.
More than three quarters of Asia-Pacific executives said their organization is using green technology to increase efficiency, and nearly 60% said they were adopting water conservation techniques. To manage power usage and cost, 27% said they plan to generate their own power with renewable energy in the next three to five years. Nearly 60% of Asia-Pacific CEOs said there is a 'critical' need to improve their use of technologies like cloud computing, digital devices and social media in order to meet customer and employee expectations. More than half listed a deep pool of talent and strong protections for intellectual property as most important to innovation. A majority (73%) said they expect infrastructure improvements will continue in such areas as transportation and water treatment. CEOs said the top priorities of the APEC organisation should be promoting the free flow of investments in the region, harmonising regulations and standards, and mapping skills in the region with an eye to helping ease restrictions on immigration. About 40% of CEOs said potential trade agreements by both the Association of Southeast Asian Nations (ASEAN) and the Trans Pacific Partnership (TPP) could have potentially significant impact on their companies. The full report on the survey results can be found at www.pwc.com. 'PwC' is the brand under which member firms of PricewaterhouseCoopers International Limited (PwCIL) operate and provide services. 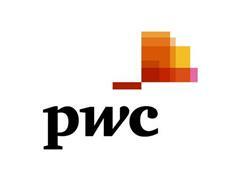 Together, these firms form the PwC network. Each firm in the network is a separate legal entity and does not act as agent of PwCIL or any other member firm. PwCIL does not provide any services to clients. PwCIL is not responsible or liable for the acts or omissions of any of its member firms nor can it control the exercise of their professional judgment or bind them in any way. The Asia-Pacific Economic Cooperation (APEC) forum is the premier economic organisation in the Asia-Pacific region. Established in 1989 by 12 economies, APEC fosters growth and prosperity by facilitating economic cooperation and expanding trade and investment throughout the region. APEC's 21 member economies today account for 55 percent of global GDP. The APEC CEO Summit is the Asia-Pacific's premier business event, drawing thousands of economic and business leaders from around the region and beyond. The 2012 CEO Summit will be held from 7th to 8th September in Vladivostok, Russia. Carried out by PwC International Survey Unit, the APEC CEO Survey 2012 was conducted between June and August 2012 covering 376 CEOs and industry leaders in 40 economies, including all 21 APEC economies.